Junior utility player Atakan Destici contributed a team-high 85 goals and 72 assists en route to a program-best, second-round appearance in the national tournament this season. 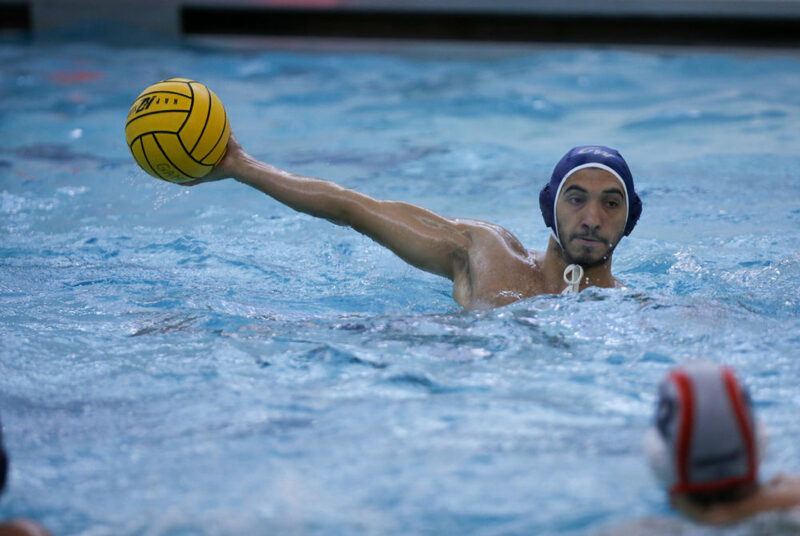 Men’s water polo was down by one goal in the Mid-Atlantic Water Polo Championship against Bucknell in November with just seconds left in the game when junior utility player Atakan Destici buried the ball in the back of the net, sending the match into extra minutes. Throughout his entire career, Destici’s cannon of an arm and his ability to consistently perform in crunch time has led the team to victory, which is why he scored this year’s pick for Best Male Athlete. Destici has been a reliable scorer for the Colonials since kicking off his collegiate career in 2016. He paced GW with 82 goals as a rookie and led the team with 77 assists – a single-season record – as a sophomore. Destici paced the pool with a three-goal performance in the MAWPC Championship in 2017, leading the Colonials to the program’s first-ever conference title. When Destici first arrived on campus, the Colonials were recovering from an 8–22 season in 2015. But Destici’s ability to not only execute clutch shots but also create scoring opportunities for his teammates helped GW improve to a 15–11 record in his inaugural season. Destici was a key factor in GW securing two conference crowns and two NCAA Championship appearances in his three-year career. He contributed a team-high 85 goals and 72 assists en route to a program-best, second-round appearance in the national tournament this season. His dominance in the pool has earned him two Honorable Mention All-American nods as a Colonial and a spot on the All-MAWPC First Team each year of his career. With one more season left in his GW career, Destici is on his way to putting together a stellar senior campaign.